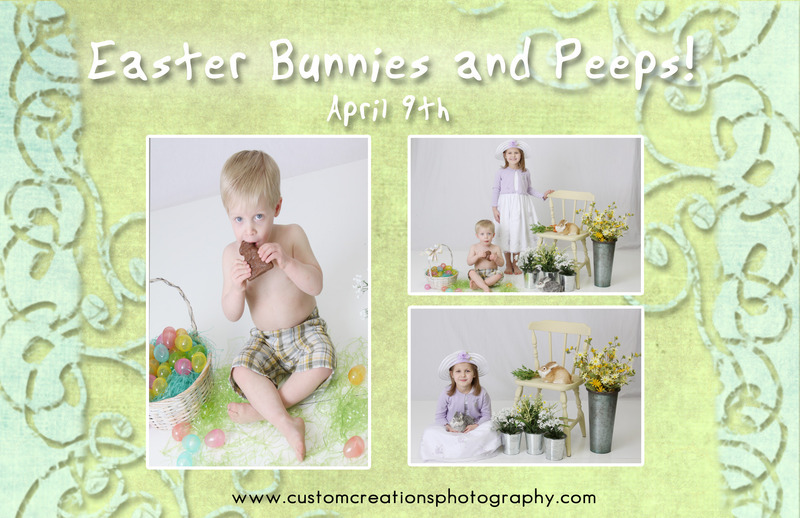 Little Creations ~ Bunnies & Peeps!!! 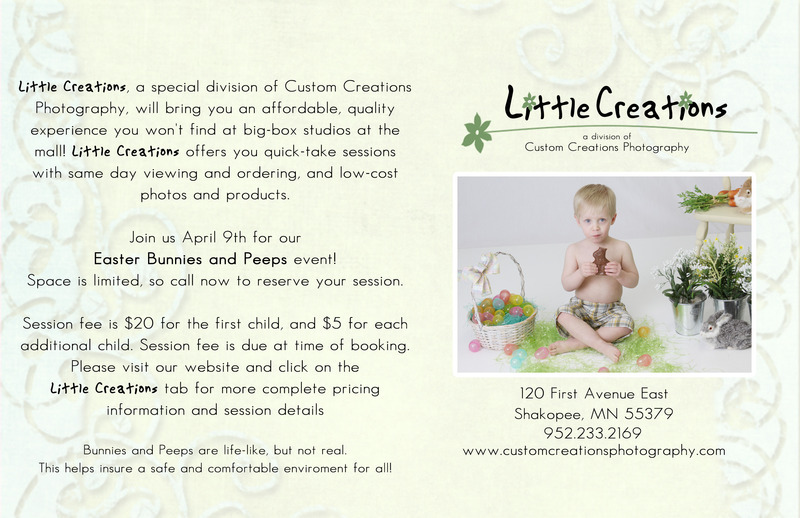 We will once again be hosting a Little Creations Easter Event ~ Bunnies & Peeps on Saturday, April 9th! Space is limited so call early to reserve your space!! Posted in Uncategorized | Comments Off on Little Creations ~ Bunnies & Peeps!! !